How Will MGM Resorts Perform In The Second Half Of 2018? How Much Will Las Vegas Contribute To MGM’s Top Line Growth? How Much Will Macau Contribute To MGM’s Top Line Growth? How Did MGM Resorts Perform In Q1? How Will MGM Resorts Perform In Q1? What Is MGM Resorts’ Fair Value? 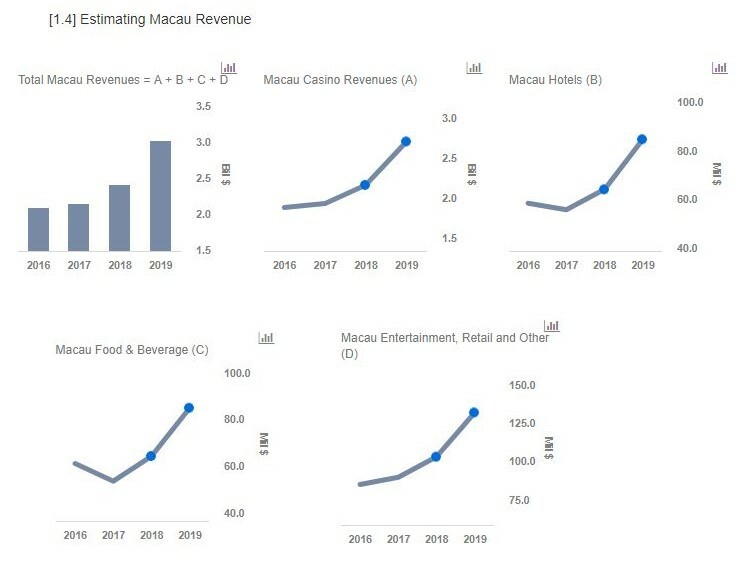 Can Macau Drive Growth For MGM Resorts In Q4? MGM Resorts (NASDAQ: MGM) has had a decent year so far. With three quarters reported, the company’s revenue growth year to date has been nearly 6%, and we expect this trend to continue when the company reports its fourth quarter earnings on February 13. We believe this growth will be primarily driven by robust performance in Macau, as a result of a solid holiday season. Further, we expect its newly opened domestic casino – MGM Springfield – should boost its domestic operations and further drive Q4 results. In addition, the opening of the remodeled Park MGM, NoMad floors, and Eataly in December should provide for decent near-term opportunities. Additionally, the management believes its enhanced digital efforts should lower its capital spending and help improve margins. Below we take a look at what to expect from Q4. We have a $35 price estimate for MGM Resort’s stock, which is slightly higher than the current market price. Our interactive dashboard on what to expect from MGM in Q4 details our expectations for the company’s Q4 earnings; you can modify the key value drivers to see how they impact the company’s results. 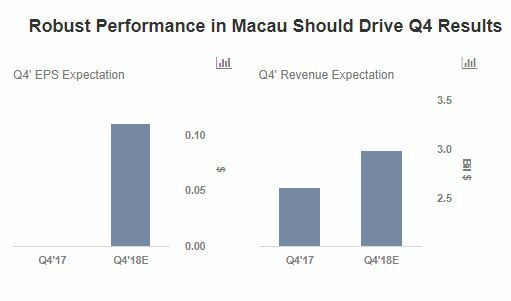 Macau which accounts for roughly 20% of MGM’s overall revenue continued its strong performance in Q3, as a result of robust growth in casino revenue. This segment was has been the key driver of growth for MGM so far, and we expect this trend to continue into Q4, driven by a robust holiday season. In spite of the slowdown – due to hurricanes, a below-par VIP market, and slowing Chinese economy sentiment – the full year gross gaming revenues (GGR) remained robust (grew by nearly 14% y-o-y) and we expect this trend to be consistent when MGM reports its Q4. We believe this solid growth in Macau will be driven by its most recent addition, MGM Cotai. Further, the proposed opening of two VIP junket rooms in MGM Cotai, coupled with the opening of the President’s Club – an exclusive gaming arena for premium mass market customers – should boost Q4’18 revenue and provide for a solid growth opportunity. We expect Macau to drive MGM’s 2018 results, as the GGR in the region grew consistently for the 29th straight month of growth in December 2018. Additionally, we expect the company to report better than expected mass market visitations in the near term owing to the opening of the Hong Kong-Macau bridge. However, the ongoing trade war and economic slowdown in China should slightly dampen the 2019 outlook.